If you'd like to ask Cinco Ranch Roofers any question, schedule an appointment, or learn more about our roofing services, please contact us right away. We are committed to the best craftsmanship, high quality roofing products designed to withstand the rigors of Texas, and friendly, courteous service. 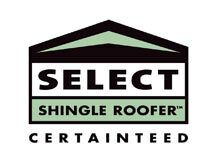 We promise to deliver to your complete satisfaction and do an outstanding roofing job for you.